"But being surrounded by readers and booksellers is a very safe-feeling environment for writing because you know there are people out there who are going to read it and you know there are people out there who are going to sell it and take care of it and help it get into the right hands. Whenever I did hit a point in the writing process where I felt like, ugh, I just cannot go on, this is too hard, it's not coming together, it's too difficult, I would remember those conversations with women who would come into the store and go, I need something. They would stand in front of the memoir section and go, where is the book that I need? And I'd be thinking, OK, maybe I'm writing the book that they need, so I've got to get back in my chair and keep going." Duende District Bookstore, the multicultural, intersectional bookstore founded by Angela Maria Spring in 2017, made its debut as a pop-up shop at the Artomatic Festival in the Washington, D.C., area last spring. At the time, Spring had the intention of eventually transitioning to a more traditional bricks-and-mortar model. But now, roughly two years later, Spring has chosen instead to focus on opening pop-up shops throughout D.C. and around the country. "The thing I really like to do is partner with different organizations and businesses and bring the mission to people who believe in it," said Spring, adding that while she hasn't ruled out owning a bricks-and-mortar of her own someday, opening a new store in D.C. would be very challenging. "It's given me a whole new side of bookselling." 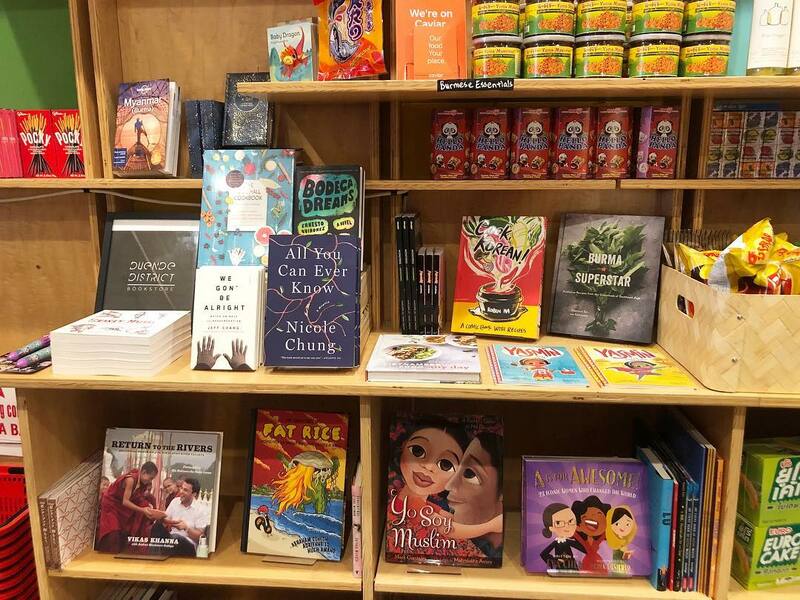 At present, Duende District has pop-up stores in the D.C. area at Toli Moli, a Burmese eatery/bodega, the National Museum of Women in the Arts gift shop, the bookstore Walls of Books and the Latinx-owned wine bar Dio. And earlier this year, Spring opened a pop-up in Red Planet Books & Comics, a Native American-owned book and comic shop in Albuquerque, N.Mex., which was her first Duende District location outside of the greater D.C. area. Duende District's pop-up at Toli Moli in Union Market. Spring reported that at Toli Moli she has about six shelves, and roughly the same amount at Dio. At Red Planet she has only a couple of shelves, while at Walls of Books she has two bookcases, which makes it her largest pop-up. Spring emphasized that "what we do is curation," and said she probably wouldn't want a space much larger than what she has at Walls of Books in future pop-ups. 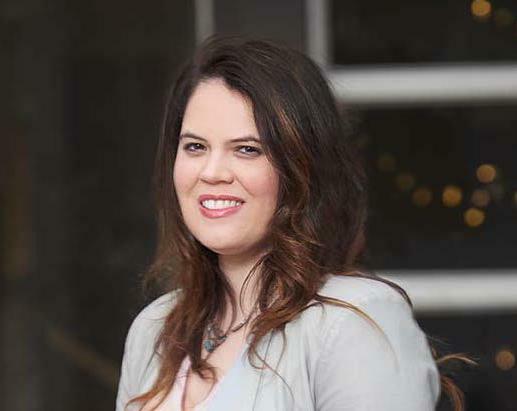 She added that one of her favorite parts about starting a new pop-up is figuring out the right book mix and what resonates best with new customers. She explained that the majority of her pop-ups operate on a model where she splits a percentage of the profit from her book sales with the venue owner. She noted that this model isn't "hugely profitable" for her, but she is in the black and, as she opens more pop-ups, the additional volume helps. At Walls of Books, meanwhile, Spring uses a slightly different model, in which she pays a small monthly fee plus a very small percentage share of any books sold. The reason for this, she said, is because she frequently uses the Walls of Books space for her events. When asked about any recommendations she would give to booksellers interested in the pop-up model, Spring answered that she would advise against doing consignment, as it "doesn't pay off" when the inventory is so small. Spring suggested that booksellers factor in their own salary when figuring out overhead costs for a pop-up. "Even if you're not really paying yourself," she said, "put the calculation in there." Duende District at Dio Wine Bar: (l.) Nicole Capo of Duende District DC and (r.) Dio owner Stacey Khoury-Diaz. She also warned pop-up booksellers to be very careful with things like book festivals, which can often charge fees of $300 or more. She stressed the importance of weighing the costs and benefits of those kinds of events and especially of figuring out if it is the sort of event where customers actually expect to buy books. Despite some of the risks, Spring said she has done great at several book fairs in the past, but a major part of that was choosing the right fairs. "If you're going to have to put up money to do it," Spring said, "be very mindful and thoughtful and specific as to why." In addition to her pop-up bookselling, Spring also works as a consultant. Essentially, she uses her curatorial skills as a bookseller to create lists of books by and about people of color for individuals or organizations. For her consultancy fee she charges a much higher wage than what she factors into her pop-up overhead as a salary for herself. Consulting not only helps cover the pop-up shops, she said, but also has helped her recognize the value in what she does as a bookseller. Ken Holland, v-p, director, field sales, will retire from Macmillan, effective May 14, after 22 years at the company. Holland joined Macmillan in 1997 as national sales manager, moving to field manager a year later before being promoted to his current position in 2002. He was also on the New England Independent Booksellers Association board from 2009 to 2010. "Beloved by booksellers and the field alike, Ken is well known for being a fierce champion of the independent channel," said Jenn Gonzalez, executive v-p, trade sales. "He has tirelessly traveled across the country to visit accounts and reps, building relationships and selling strategies that have allowed Macmillan to remain competitive. A discerning and enthusiastic reader, he could always be relied on for insight into the books that would work best in independent stores. He will be greatly missed." BookExpo revealed 89 American Booksellers Association member booksellers who have won $1,000 stipends to attend this year's event in New York City as part of the new BookExpo 2019 Bestsellers Grant Program. Of the winners, 36 have never attended BookExpo. Booksellers did not need to apply for the program. All ABA bookstore members were eligible to be selected. A list of Bestsellers Grant Program winners is available here. 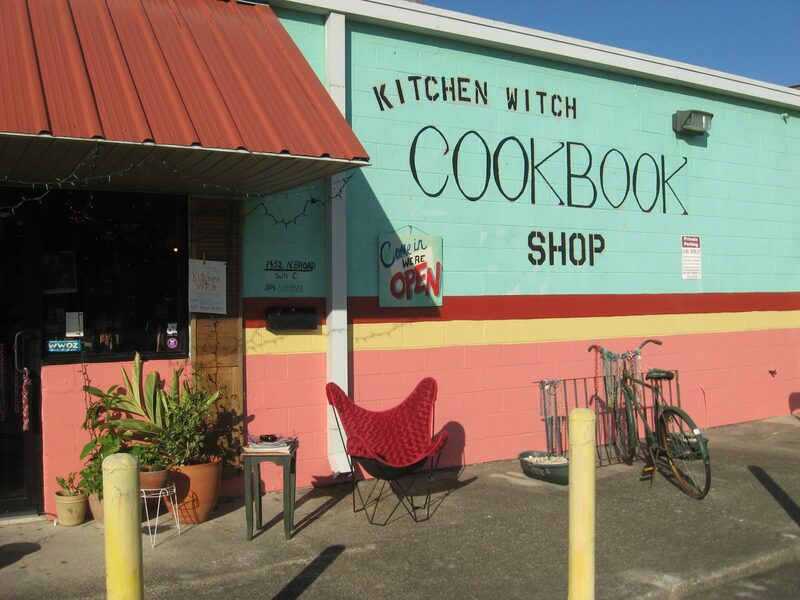 Debbie Lindsey and Philipe LaMancusa, co-owners of Kitchen Witch Cookbooks in New Orleans, announced on Facebook they will not renew the lease on their North Broad St. business when it expires in September and are not certain how long they will remain open, the Times-Picayune reported. 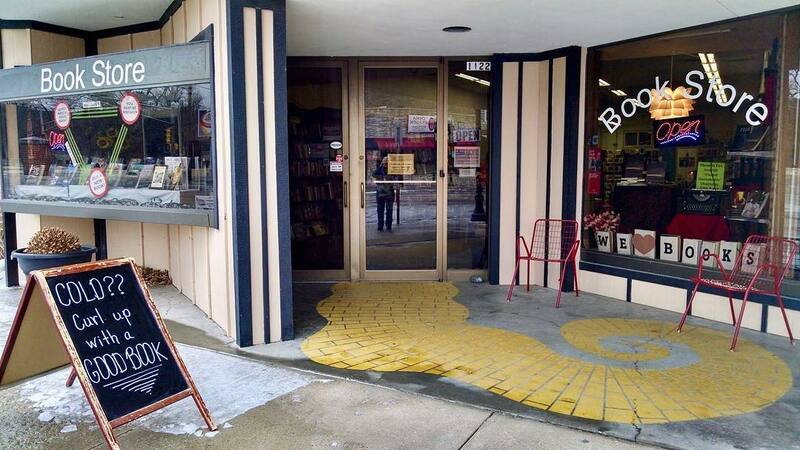 The bookshop launched "about 20 years ago on Rampart Street and then closed for a time.... In 2005, Kitchen Witch opened on Toulouse Street in the French Quarter, where it stayed until moving in 2015, citing a dramatic increase in rent." "It would truly take one of those miracles in a Frank Capra movie," Lindsey said of the chances the store will survive, adding that the owners have been shoring up the shop with their savings and can no longer do so. Lindsey added that she had asked LaMancusa what salary he would be willing to work for if an investor could be found to keep the shop open: "He said minimum wage and I said me, too. We don't want to leave.... We'll be there full throttle through spring.... It's crazy because tourists totally get us. I just had a guy who Ubered out here from the French Quarter today. And every local who has come out here, we've really become friends with." Poet Linda Gregg, whose poems the late W.S. Merwin had praised for being "original in the way that really matters: they speak clearly of their source," died March 19. She was 76. In a statement, Graywolf Press said it is "deeply saddened at the death of Linda Gregg. Her presence, like her work, was passionate, dazzling, and enduring. Since the publication of her exquisite Too Bright to See in 1981 to the publication of her award-winning All of It Singing: New and Selected Poems in 2008, Graywolf has been honored to be Linda Gregg's publisher. She is one of the greats, and she is missed." Gregg's other books include In the Middle Distance; Things and Flesh; Chosen by the Lion; Sacraments of Desire; and Too Bright to See & Alma. Among her many awards were the Whiting Writers' Award; Sara Teasdale Award; PEN/Voelcker Award for Poetry; Poetry Society of America's William Carlos Williams Award; Jerome J. Shestack Poetry Prize; and numerous Pushcart Prizes. "I first encountered Linda Gregg's voice, back when I was a student, via her poem 'Let Birds,' " said U.S. poet laureate Tracy K. Smith. "I loved that poem's fearlessness, which seemed to be responsible for both its wild leaping energy, and its almost otherworldly intelligence. Having lived with her poems for decades now, I have learned immeasurably--and been immeasurably consoled--by those things, as well as by her belief in the rocks, the earth, the body, the sea, passion, rage, joy and calm. It's that abundance, and the clean sharp mind capable of making meaning of it all, that most characterizes Gregg for me. No--not Gregg, but Linda. Because it is Linda whom I miss and love. Linda who was my teacher, my colleague and friend--and who remains a powerful ambassador for poetry's weight and its light, for its wisdom and purity as an art form and a way of life." An Unlikely Story in Plainville, Mass., hosted Rachel Lyon last night for the launch of the paperback edition of her debut novel, Self-Portrait with Boy (Scribner). Ellen Plumb's City Bookstore, Emporia, Kan., was recognized as the Emporia State University Kansas Small Business Development Center's Emerging Business of the Year earlier this month at the annual awards ceremony in Topeka. Kansas SBDC annually recognizes existing, emerging, and exporting Businesses of the Year from the eight Kansas SBDC regional centers. As a first-time small business owner, Marcia Lawrence asked Kansas SBDC "for assistance with determining the feasibility and sustainability of an independent bookshop. Once established, Ellen Plumb's has grown and evolved into a venue for open mic events, a showcase for local authors and a promoter of products from other local small businesses," the organization stated. Lawrence told WIBW she would not have had the knowledge to make decisions to move forward without the SBDC's guidance: "This (award) is such a validation that I'm actually doing the right thing. I must be doing something right or they wouldn't recognize what I have accomplished thus far." Sixteen small businesses across the state were selected from more than 2,400 businesses that received Kansas SBDC one-on-one business advising services in 2018. Greg Panichello, Kansas SBDC state director, said, "The selected businesses were chosen through careful consideration by our Kansas SBDC regional directors and advisors. Collectively, the Kansas SBDC team believes these 16 small businesses are excellent examples of small businesses that have learned to adapt and succeed in challenging times." 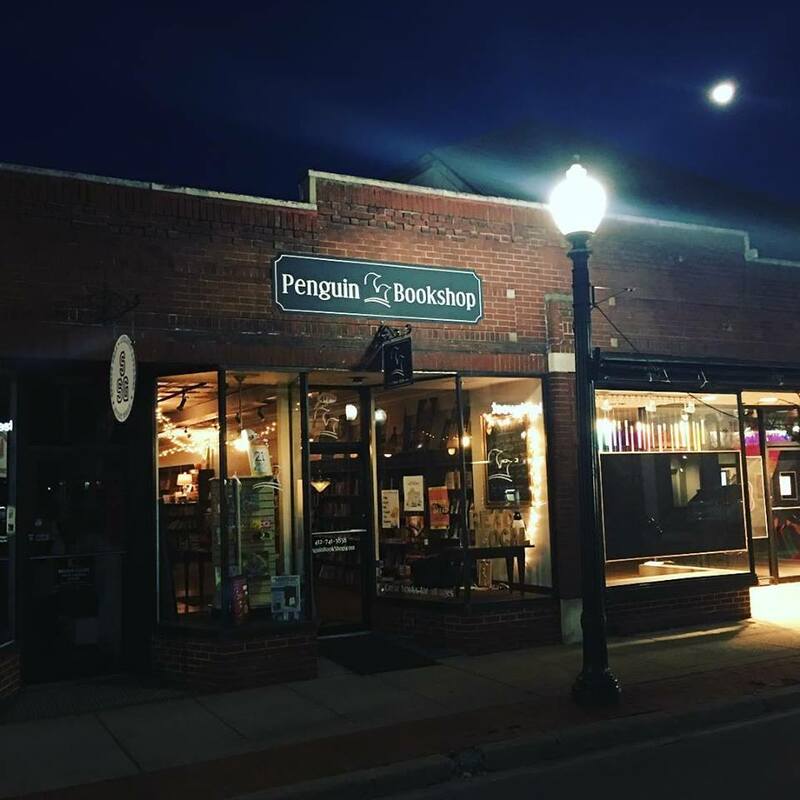 Penguin Bookshop, Sewickley, Pa., shared a photo of its moonlit storefront on Facebook, noting: "Moon over the Penguin Bookshop." Why did you decide to work in books and what is your favorite part of the job? It was a light bulb moment during university when I realized that if I worked with children's books I could forever be in the land of A.A Milne and Walter de la Mare.... I love the conversations about books every day: the stories, the words, the ideas, the illustrations, the jacket design, the marketing, the display, the sales success or failure. I love the fact that to be a good bookseller you have to be aware of, and buying books ahead of, the trends. I have so enjoyed the mixture of types and ages and interests among bookselling staff--artists, musicians, students, photographers, escaped accountants, playwrights, authors, environmentalists and career booksellers. I've worked with them all, and more. Above all, working as I have done for more than 50 years in children's books, I have been feeding the imaginations of young minds, giving them the ability to see the world through another's eyes, to see myriad possibilities of their own lives, and, hopefully, to laugh often. What a privilege! What is something new you've observed in bookselling over the years? When I started out in the 1960s and 1970s, we children's librarians and booksellers were thin on the ground and we were more gatekeepers than we are now. Enid Blyton and Biggles were banned in libraries and better bookshops for being too formulaic. We were also beginning to question the books' sexism and racism, but only just. They reflected how most of us thought really, so the discussion was quite radical! Now a lot more books both for teenagers and younger readers are issues driven so children may be exposed to difficult lives--drugs, alcohol, family violence etc.--early on. It's odd really, we don't cosset children in their reading as we once did but we are in an age of 'helicopter parenting'! 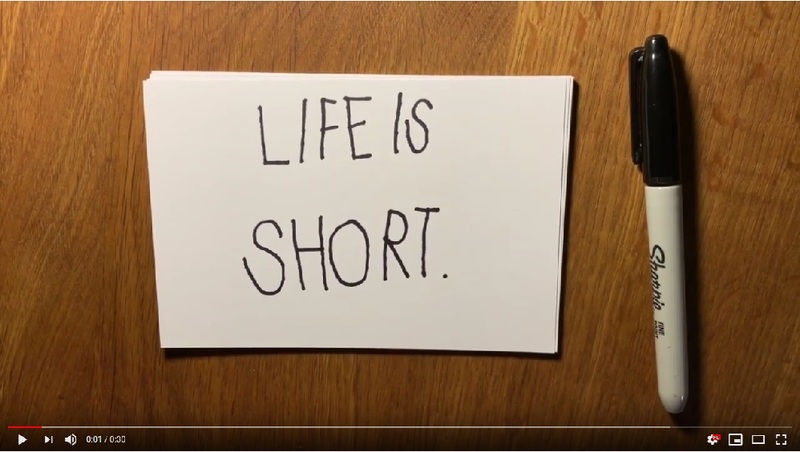 Keep Going: 10 Ways to Stay Creative in Good Times and Bad by Austin Kleon (Workman Publishing). 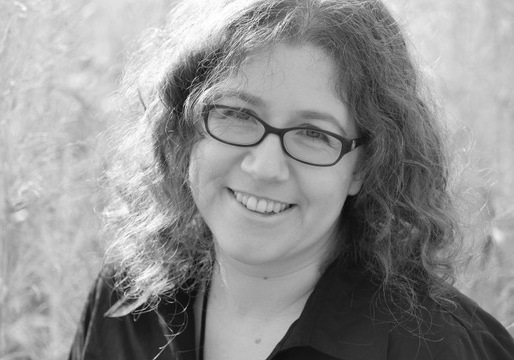 Fresh Air repeat: an interview with poet and essayist W.S. Merwin, who died a week ago. The Ellen DeGeneres Show: Alice Paul Tapper, author of Raise Your Hand (Penguin Workshop, $17.99, 9781524791209), who will be joined by her father, CNN's Jake Tapper. The SyFy network and Legendary TV have optioned author Seanan McGuire's Wayward Children books to develop as a TV series, according to the Hollywood Reporter. Joe Tracz (Be More Chill, A Series of Unfortunate Events) will adapt the books. 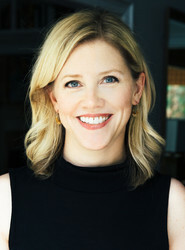 McGuire's four-book series, beginning with Every Heart a Doorway, has won a number of awards, including Alex and Hugo honors in 2017. The Wayward Children project "is in the very early stages of development at Syfy," THR wrote. Tommy Orange won the 2019 PEN/Hemingway Award, honoring a distinguished first book of fiction, for There There (Knopf). The judges called There There a "devastatingly beautiful novel, as acutely attuned to our current cultural and political condition as it is to the indelible legacy of violence that brought us here.... The breadth and scope of this novel are matched only by the fierce and relentless intelligence that Orange brings to his characters, who despite tragedy, heartbreak and loss, reside in a remarkable world of hard-earned grace." Orange will receive $25,000, underwritten by the Hemingway Family and the Hemingway Foundation, as well as a month-long residency fellowship at the Ucross Foundation in Wyoming, a retreat for artists and writers, valued at $10,000. The two PEN/Hemingway runners-up were Akwaeke Emezi for Freshwater (Grove) and Ling Ma for Severance (Macmillan); and honorable mentions went to Meghan Kenny for The Driest Season (Norton) and Nico Walker for Cherry (Knopf). They each receive a Ucross Foundation residency fellowship. 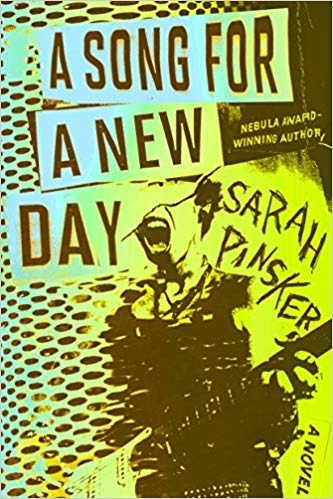 Sarah Pinsker's stories have won the Nebula and Theodore Sturgeon Awards, and have been finalists for the Hugo, Locus, Foster and more. Her work has been translated into Spanish, French, Chinese, Italian and Galician. Her collection Sooner or Later Everything Falls into the Sea was just published by Small Beer Press, and her first novel, A Song for a New Day, is coming from Berkley in the fall. 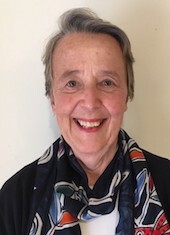 Pinsker lives with her wife in Baltimore, Md. I don't have a nightstand, but I have a stack of books beside my bed that is about eyeball height at this point. It includes Daphne du Maurier's The Scapegoat and The Du Mauriers (her biography of her family--I'm on a kick); N.K. Jemisin's How Long 'Til Black Future Month; Vandana Singh's Ambiguity Machines and Other Stories; The Best Plays of 1921-22; and Ursula K. Le Guin's The Books of Earthsea: The Complete Illustrated Edition, which is itself about two feet tall. A single book??? I was a horse kid, so I read everything by Marguerite Henry, Walter Farley, Lynn Hall, C.W. Anderson and Jean Slaughter Doty about 200 times each. Basically every book with a horse in the name except Steinbeck's The Red Pony, which traumatized me. In the non-horse category, I'll say all the Madeleine L'Engle books. I hate picking favorites and I'm an incomplete completist, but Ursula K. Le Guin, Karen Joy Fowler, Octavia Butler, Nicola Griffith and Elizabeth Hand are all high on my list. Bleak House by Dickens. I know I managed to write a paper on it in college, but it was a skim job. I don't really feel bad about this at all. Shaun Tan's The Arrival. It's a wordless depiction of an immigration experience. The protagonist doesn't share a language with anyone in his new country; their language is gibberish to him and gibberish to the reader. Any item we might recognize is rendered in such a way as to make it foreign to the reader as well, so we experience the confusion that the man feels: strange fruit, strange animals, strange monuments. Tan's illustrations tell the immigrant's story a thousand times better than words could have. Saga Press is reissuing three Molly Gloss novels over the next few months (Outside the Gates, Dazzle of Day and Wild Life) followed by her first collection, Unforeseen. I already had two of the books, but I've preordered all four of these both for her prose and the gorgeously stark matching covers by Jeffrey Alan Love. I went through a weird period of reading rock tell-alls when I was 13 or 14. My parents never withheld any book from me, but I felt the need to hide these in my closet. There were a bunch: Pamela des Barres's I'm with the Band, the Led Zeppelin bio Hammer of the Gods, Jim Morrison's poetry. I wonder what happened to them? I don't think I took them with me when I moved out. Sorry, Mom. Kij Johnson's At the Mouth of the River of Bees, but also more specifically her story "26 Monkeys, Also the Abyss." My first published story was a direct result of me trying to take that story apart and figure out what made it tick. I'm here answering these questions at least in part because of "26 Monkeys." This is just cruel. Since I think I'm coming across as Le Guin-obsessive, I'll pick something else, even though I can think of a dozen by her. There's a great line from Michael Chabon's The Yiddish Policemen's Union: "It never takes longer than a few minutes, when they get together, for everyone to revert to the state of nature, like a party marooned by a shipwreck. That's what a family is. Also the storm at sea, the ship, and the unknown shore. And the hats and the whiskey stills that you make out of bamboo and coconuts. And the fire that you light to keep away the beasts." I think of that every time my family gets together. I'm looking at this question as book-as-artifact. That's the dangerous kind. I'd prefer not to part with the copy of The Lathe of Heaven that Ursula Le Guin autographed for me when I was 14, or the copy of her Always Coming Home that I stole from my parents, which is the boxed edition that came with a cassette of songs of the Kesh. King Matt the First by Janusz Korczak, which had a profound effect on me as a child, for Korczak's own story as well as the novel. Maxwell Street by Ira Berkow, which documents the street in Chicago where my grandfather had a clothing store. Was by Geoff Ryman, which is an amazing novel, but also has a personalized inscription and my own scrawled note to myself from 1995 about an upcoming Ramones show. I have a rather lousy memory for book details, so I actually do get to read novels again as if they were new to me. I recently read Le Guin's A Wizard of Earthsea for the first time in 30 years. I had completely forgotten everything about it beyond the fact it concerned names, a dragon and a boy called Ged. I look forward to reading the rest of the Earthsea books again for the first time in the near future. The narrator is a 12-year-old boy. Along with his older brother, father and mother, he remains nameless, although more peripheral characters have proper names. As the story opens, the family has recently moved out of the trailer park--an important social step up--and they have given away their old kitchen table in an act of charity. The father is supposed to be building a new one, but this project serves as a metaphor for larger troubles. Getting the new kitchen table finished and perfect will prove daunting. In the first chapters, the family's troubles ratchet rapidly from an overpopulation of pet cats to the mother's cancer diagnosis. The 15-year-old brother gets a girlfriend and distances himself from the narrator, although the boys still smoke weed together in the garage, where the kitchen-table project progresses slowly. This is a devout Catholic family, and guilt plagues the young narrator, whose burgeoning sexual interests, for example, give him trouble. Struggles with faith are central to the book. The father's work in a weapons factory seems secured by the advent of war, a fact that the narrator has trouble reconciling with Christian teachings. His mother's suffering at the hands of cancer, chemotherapy and radiation seems senseless. He remains committed to religion, despite these conflicts and his obsession with women's underwear. A new girl his own age from the trailer park provides further conflicts between what he feels and what he thinks he ought to feel. While Patterson's gift for description brings beauty to this novel, the tone is bleak. The father labors helplessly: "In the garage the saw screams in the ceremony of my father's self-destruction." The sick mother delivers food to those needier than herself but also covers up a small crime, as her younger son sneaks cigarettes and self-flagellates. Amid the narrator's crisis of faith, even the priest turns away from church. 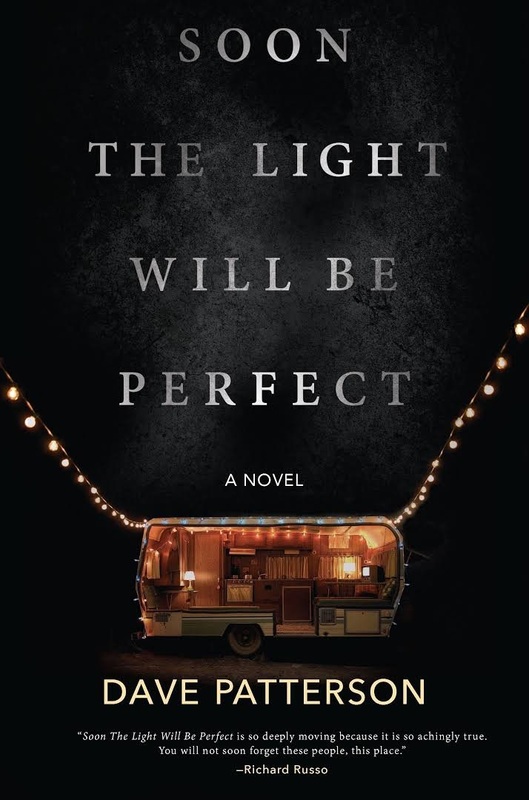 Certain plot turns and characterizations may tend toward cliché, but Patterson's striking writing and attention to detail rescue his book from that realm. To put it another way, clichés are formed from the broadest truths of life, and Patterson aims to approach those overarching truths, perhaps why his protagonists go unnamed. Shelf Talker: This sensitive debut novel about everything that can go wrong as one grows up will touch any reader who remembers being 12 and beset by the world. An Explore Georgia article "9 Inspiring Flannery O'Connor Destinations in Georgia" that we linked to yesterday incorrectly stated that Esther Shaver, who in 1975 founded E. Shaver, Bookseller in Savannah, "still runs things today." Actually Jessica Osborne now owns the store and is doing a very nice job, many sources say. Our apologies! When Sister Wendy Beckett died last December 26 at the age of 88, it felt like a personal loss to me. 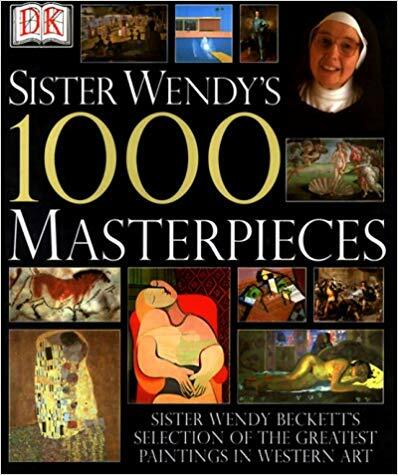 Over the past two decades, I've immersed myself in the world of art through reading and museum visits, but before Sister Wendy magically appeared on the scene in the late 1990s I knew little, bordering on nothing, about art. I doubt I even knew what I liked. Through her irresistible TV documentaries and books, she became one of my best teachers. Her passion for art, borne out of a life of solitude, was, well, inspiring in so many ways. 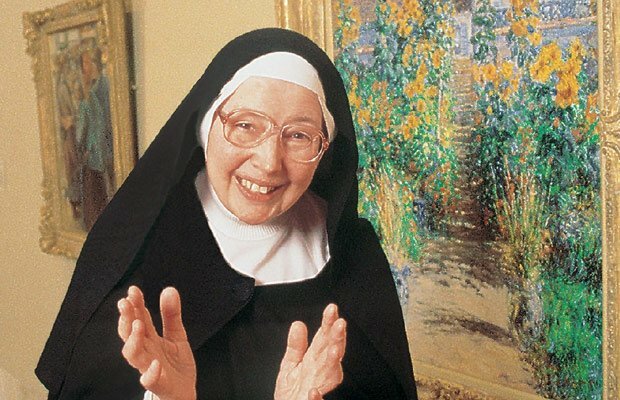 In her obituary, the Guardian wrote that "those who made series such as Sister Wendy's Odyssey (1992) and Sister Wendy's Story of Painting (1996) recall that, at the time, she seemed to be enjoying herself on and off camera. There was always something contradictory about a nun, who had devoted her life to solitude and contemplation (since 1970 in a caravan in the grounds of the enclosed Carmelite monastery at Quidenham in Norfolk), but who also managed to slip away from the cloister to make large-scale TV series on (in the eyes of the world, if not Sister Wendy herself) non-religious subjects." I did not see the contradiction. Her life made perfect sense to me. Many of Sister Wendy's books are still in print, her TV programs a mere Google click away from viewing, but what brought her to mind recently was a headline I encountered on Artnet News last week: "The Bookseller Who Supplied Sister Wendy a Copy of Mapplethorpe's X Portfolio Is Selling Her Library at TEFAF." It turns out that she left behind "a massive library of art books," most of which had been acquired from Thomas Heneage Art Books in London, with Sister Wendy "rarely if ever paying for a publication. As a nun, Beckett didn't have a regular income, so she relied on the generosity of others to build up her collection, which is now on sale on Heneage's stand at TEFAF Maastricht," Artnet News wrote. Next door to Sister Wendy's modest caravan hermitage was a separate library, which Heneage purchased in its entirety--about 300 boxes of books--and arranged donations of the titles that had no resale value. "She was such fun," he recalled. "She had a very broad knowledge of the arts and had something interesting to say about almost everything... She'd look at a book and say 'Oh this is a really beautiful book isn't it? Oh gosh I'd very much love to have this. Is it very expensive?' " Usually she got what she wanted. 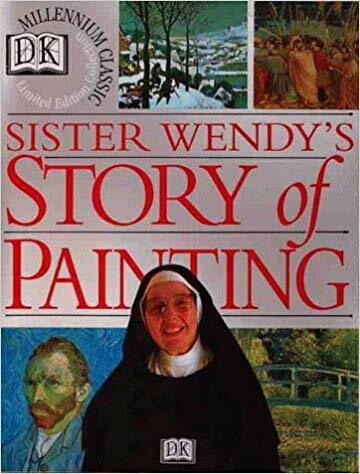 Heneage noted that Sister Wendy would say " 'I wonder if anyone would be really generous and buy it for me?' She'd leave, and about a half an hour later a BBC executive would call up and say 'Okay, what does Wendy want now?' "
"Wendy was full of surprises," he added. "She had lots of books on Islamic art, Greek and Roman art and mythology, and everyone from Giotto to contemporary artists like Dale Chihuly and Sean Scully." When Sister Wendy died, Shelf Awareness was in its annual holiday season hiatus, so I did not have the opportunity to write an obituary note honoring her contribution to the world of art as well as books. I guess I'm doing that now. Is it sacrilegious to pay tribute by portraying her as my gateway drug to art? She'd probably just smile and say of course not. Don't hate on yourself for being a philistine. In the Guardian's obituary, Peter Stanford wrote: "Years after she had given up on television, I took her on a trip round some London exhibitions and we were constantly stopped by people wanting to know when she would be back on the small screen. 'No one else does it quite like you,' one woman told her. 'It's because of you that I'm here today.' "